And honestly, m4/3 and other mirrorless cameras have just recently become competitive performance wise to DSLRs. Especially the progress in focusing. Not when value-for-money enters the equation. I switched to M43 forthe size and weight advantages, and then only because of worsening arthritis. 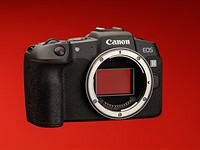 Dollar for dollar Canon and Nikon DSLRs offer better performance.